One of the struggles a sneakerhead may encounter, especially as of late, is an internal battle between wearing retro product versus current product. In fact, I myself seem to be wearing more and more retro product instead of the current technologically advanced sneakers. I use to just break out the retro product when I was feeling nostalgic, but now I wear my Is, IVs and VIs multiple times a week. One exception is the Flyknit that I wear almost always, which helps offset the technology curve. When am I going to be able to update my choices with some new product that has more emphasis on technology? Before I get into that, you need to know, I love my classic Jordans. But, they’ve always seemed to be more style over function, in my opinion. With the news of the entire Nike Kobe line being produced in limited quantities to help build up to the launch of the revolutionary Kobe 9, I got a little excited. Especially when it comes to the Kobe 5, as I think that might be the best-designed basketball shoe of all time, OF ALL TIME! How did Kobe get his product line retroed before LeBron? I have argued that the Kobe line is the most innovative line in basketball history, as the emphasis on the design is solely function over form. But, I admit, it is shocking to me that Nike would shift the pendulum so far into the Kobe line when LeBron is the poster boy. 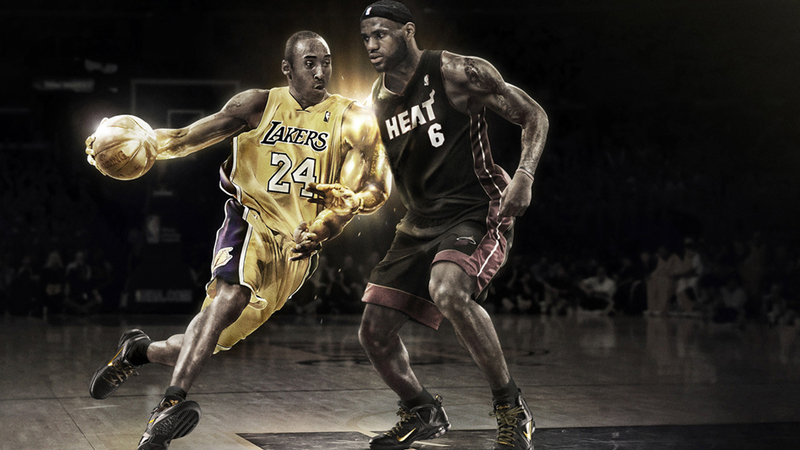 The LeBron line has many classics, as does the Kobe line, both undeniably so. But, as I see it, there is one drastic difference between the footwear lines of these two superstars. It seems like more often than not, the people that buy the Kobe product hit the court running and the people that buy the LeBron product hit the streets walking. If that observation were true, then it would seem to make more sense to retro the LeBron line over the Kobe line. By putting out a super limited run of the Kobe 1-8, you may not be hitting that performance-minded consumer, however that consumer is the typical LeBron consumer. The LeBron consumer wants limited product that is bold and over-the-top. They want releases that are similar to the Championship Packs, packs that caters to their buying and collecting habits. The Kobe consumer wants product that excels on the court. They want it to be original and dynamic in its aesthetic, but most importantly, it has to be court-proven. Outside of Los Angeles, collecting Kobe product doesn’t seem to be the most popular thing. What does this release mean? Needless to say, I am very interested to see how this release pans out. I think if it is successful, perhaps it will only open the LeBron line to retro product sooner than we might expect. It will also be a bigger test for the Kobe line and its viability to survive after he retires. We now know Kobe has at least two more years of playing, but can retros help Kobe’s sneakers live forever the way Air Jordans have before him, or will it take a groundbreaking design in the form of the Kobe 9 to make that happen? 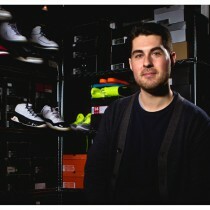 Brett Golliff, footwear extraordinaire, is founder of BrettGolliff.com, contributor for Complex, and has previously designed for New Balance. Check him out on Twitter and Instagram.